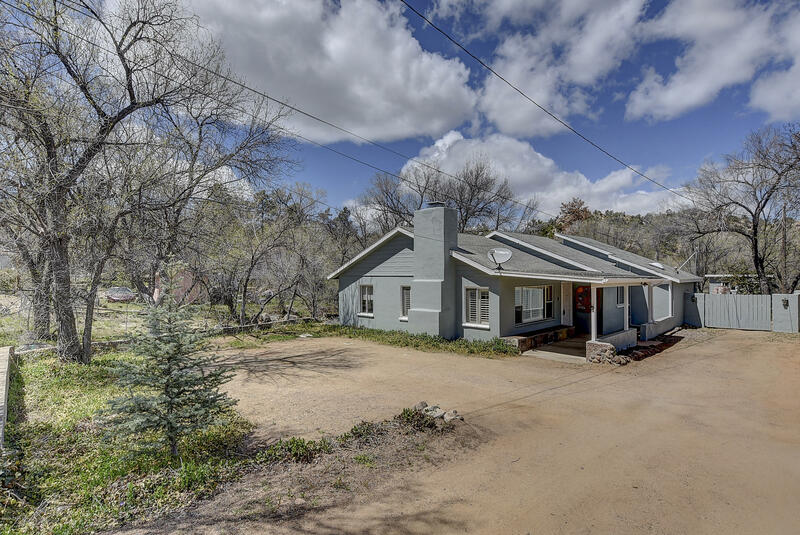 All Dougherty Park homes currently listed for sale in Prescott as of 04/22/2019 are shown below. You can change the search criteria at any time by pressing the 'Change Search' button below. "Beautiful move in ready home! New paint inside and out! This 1,367 + ~200 sq AZ room was built in 1958 and features 3 bedrooms + 2 baths. The living area opens to the kitchen and dining areas, real slate tile floors and a cozy gas (can convert to wood) fireplace. The kitchen features upgraded wood cabinets, glass tile backsplash, stained concrete counter tops and island with built in breakfast bar, and SS appliances. Just off the dining nook is a sunroom for all season living! Outside you'll fi"